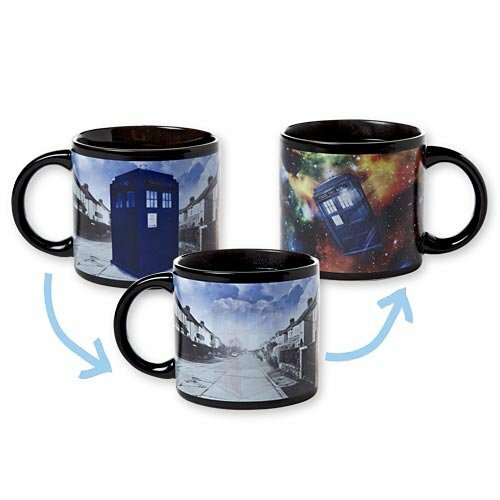 If you were only to buy ONE Doctor Who gift for the Doctor Who fan in your life, it ought to be this truly impressive, absolutely cool, disappearing Tardis Doctor Who Coffee Mug. 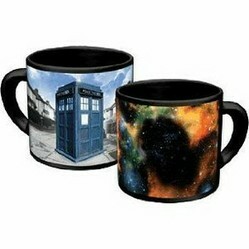 Start your visit on this page by watching the Tardis coffee mug in action in a Youtube video. It is not too often that you find a video review of a coffee mug but then again, this is a pretty special coffee mug. After you have been suitably impressed by the magical mug, you can read a bit more about the mug and, if you are interested, you can even order yours from Amazon right here on this page. The Tardis is Doctor Who's time machine or space craft. TARDIS is actually an acronymn that stands for Time and Relative Dimension in Space. The Tardis is a time machine and/or spacecraft used in the extremely popular Doctor Who books and television shows. If you are a fan of the Doctor Who books and television series, you will need no introduction to the Tardis but if you are like me considering buying this mug for someone else in your family or acquaintance who loves Doctor Who, you need to understand the significance of the Tardis. The Doctor’s Tardis is considered “unreliable, obsolete and faulty” and hence is virtually stuck in the appearance of a police box from 1960s London, England. As a matter of fact, Doctor Who and his Tardis are so firmly implanted in pop culture today that the word Tardis is now used to describe items that appear bigger inside than they do outside. I am pretty sure that my 17-year old made a reference to the Tardis last week, which of course I had to have explained but he, like any Dr. Who fan, understood perfectly. Don't miss these important facts. This Dr. Who mug is a fun ceramic mug that is heat sensitive and that features a disappearing and reappearing picture of the Tardis. It holds 12 ounces and MUST BE HAND WASHED or you will ruin the finish that allows the picture to change. You will want to treat it very carefully in order to have it for a long time. The only issue I have read about this mug is this fact -- that it is not dishwasher safe. I had a chuckle when I read Paulette R. Findlay's Amazon customer review. She said that she loves a good hot cup of tea, she loves Doctor Who and she loves her disappearing Tardis mug. All that is missing, says Paulette, are the sound effects...which she just happens to have as a ringtone on her phone. To enjoy more of the Amazon customer reviews or simply to read more about the mug, you can click on the next picture of the mug. 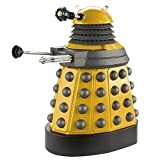 Fans of Doctor Who have many merchandise options that are inexpenive and need not break the bank. 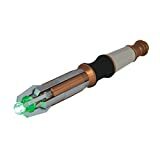 The following items are all fun and affordable with most of them priced at less than $15, allowing you to put together an interesting gift package for your Doctor Who fan. Of course, you should not discount the possibility of a Doctor Who boxed set on DVD as a gift item. They are not quite as inexpensive as these other gifts nor as the Doctor Who coffee cup, but they are definitely packed with HOURS of viewing pleasure. Factor in that at Amazon.com some of the complete season sets are discounted by as much as 50 percent off and include FREE shipping and they quickly become a great bargain, too. In case the Doctor Who mug isn't for you. Of course a Doctor Who mug will not appeal to every one in your life but I know there is a coffee mug out there suited to everyone's interests and personality. Here are but a few more pages dedicated to the humble but hard working coffee cup. All of those coffee mugs with lady bugs and garden flowers can now be put away for the season. It's time to celebrate fall. Do you love your coffee? How about Anime? If you do, why get the best of both wolds? Here are some Anime coffee mugs that you can grab online! Give your sweetheart a Valentines Day coffee mug. These mugs make great gifts for him or her. Chaleur makes interesting coffee mugs featuring the works of famous artists. My favorite coffee mug, which I actually use for tea, is from Chaleur, a British company making hand-painted porcelain mugs. Another reason to have a favorite mug is the proliferation of paper coffee cups upon the earth. Read more. Available in my eBay store, these mugs all feature FREE shipping and handling in Canada and to the United States. Are you intrigued by the Tardis Doctor Who Coffee cup? That is too cool Brenda! Dr. Who is timeless! Now that is one very impressive coffee mug...Dr Who fan or not! Very cool! 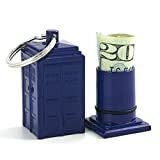 As someone who has been following Doctor Who for more years than I care to remember, this has to be the ultimate Whovian must-have! Pretty cool mugs for sure. That is seriously cool. Almost as cool as a bow tie and a fez. I don't know Doctor Who but I love the idea of a mug that changes with the temperature! that sounds like fun!